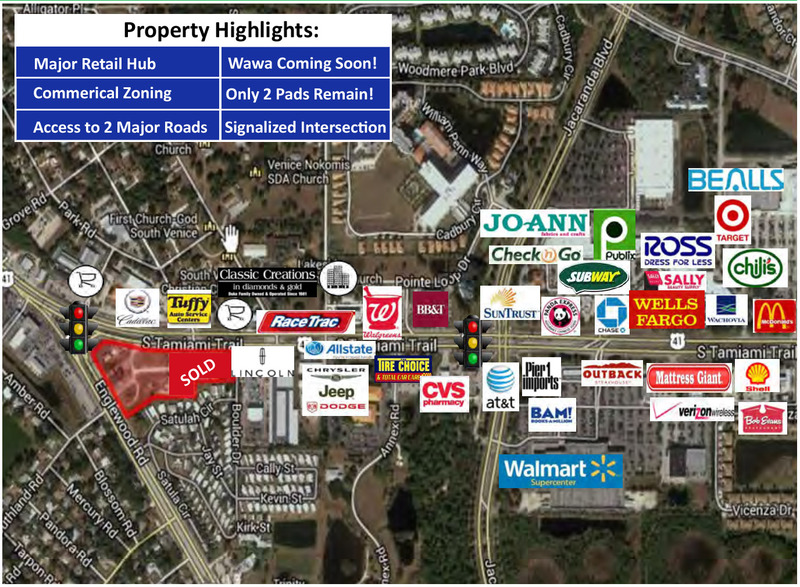 This property is at the corner of US 41 (S. Tamiami Trail) and Albee Rd adjacent to a brand new Home 2 Suites by Hilton. This traffic lit intersection features excellent visibility from the road, and multiple points of ingress and egress. 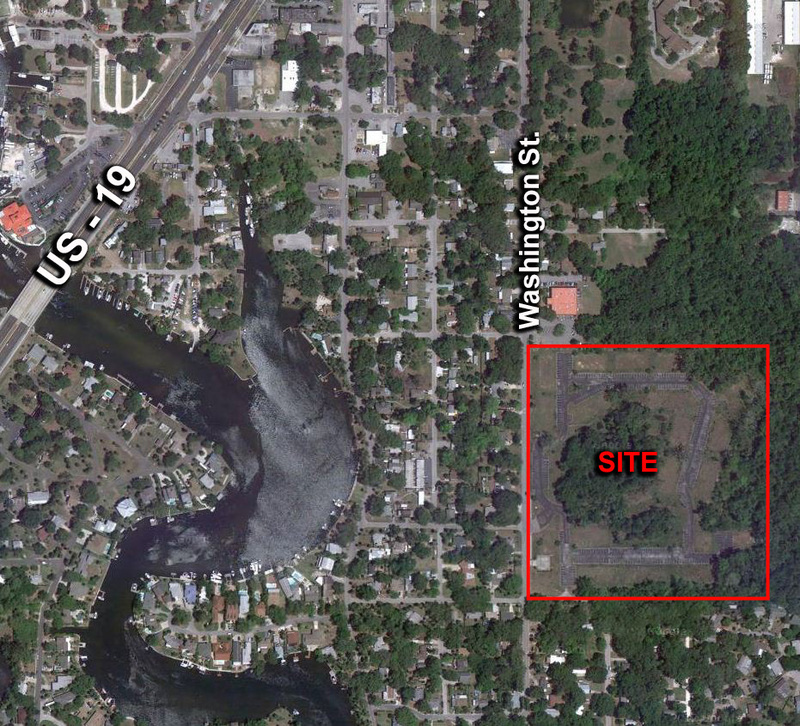 This fully entitled multi‐family zoned parcel is approved for 240 apartment units, 192 townhomes, or 70 single family lots. Currently all infrastructure is in place and the site work has been done. 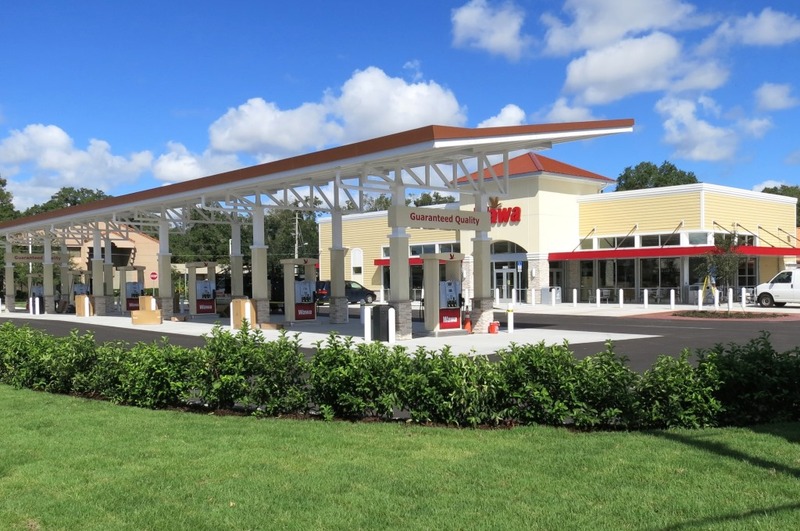 Located within 1 mile of Gulf View Square Mall and half a mile from Super Wal‐Mart, this convenient location is perfectly suited for a multi‐family project. 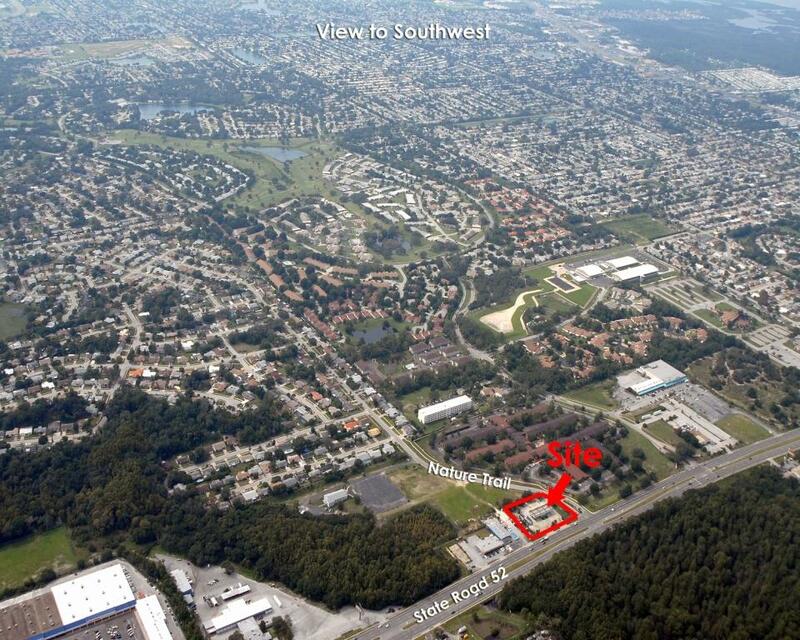 This property is at the prime corner of US 41 (S. Tamiami Trail) and SR 776 (Englewood Rd). This traffic lit intersection features excellent visibility from the road, and multiple points of ingress and egress. This site is located just north of the DeSoto Square Mall at a traffic light controlled intersection. 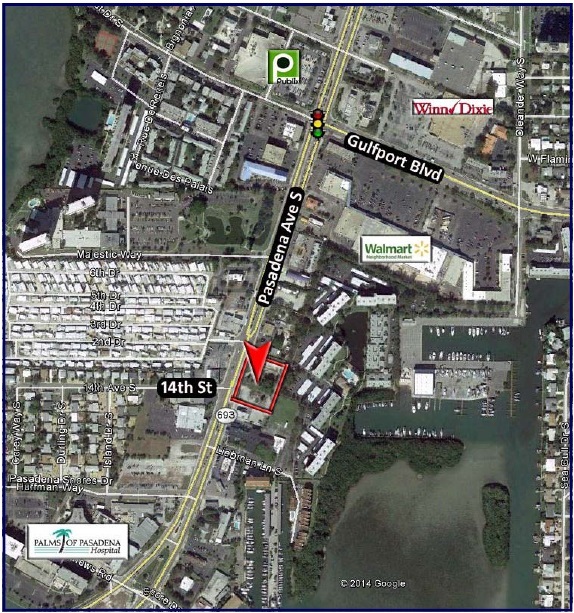 The property has excellent visibility from all directions and features easy access into and out of the site. Broken Phone USA, HTeaO, All Coming Soon! 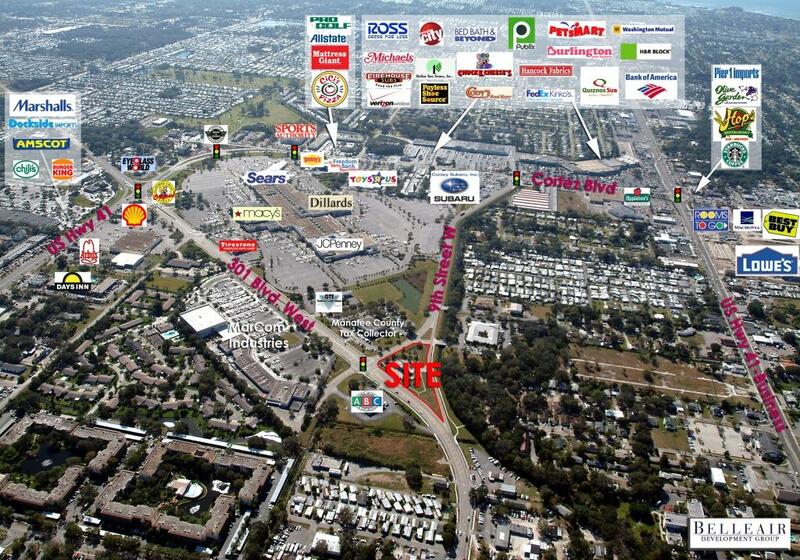 Join new restaurants and retail in this brand new shopping center. 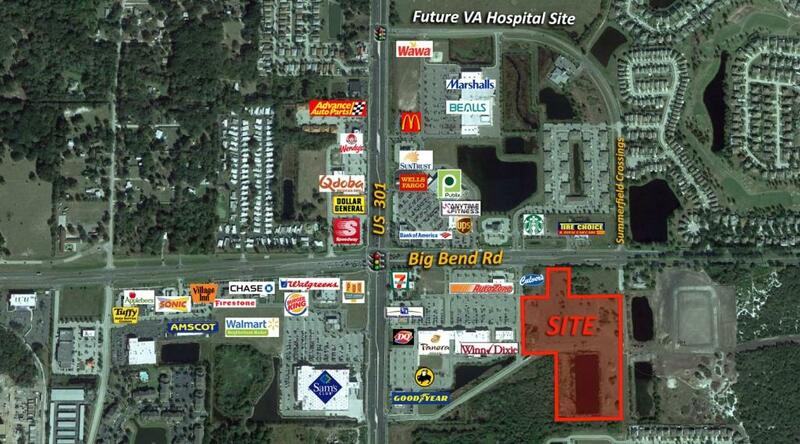 This property is just south of the Polk County Parkway, located amid a dense stretch of retail synergy. S Florida Ave is a major north-south thoroughfare in Lakeland. 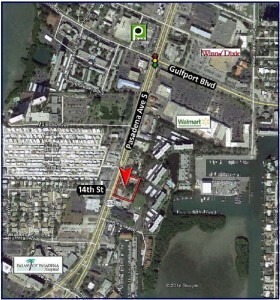 Up to 3,000 sf available! 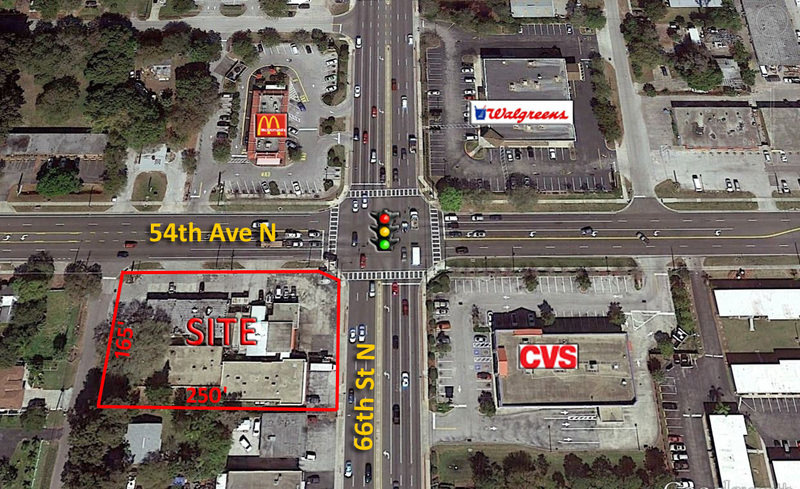 Located at the traffic-lit intersection of US 41 and Symmes Rd, this is a highly visibly and easily accessible site. Cross access with neighboring gas station (Circle K coming soon) will allow for convenient ingress and egress for any direction.